The basic course on civilian crisis management (formerly known as the EU Concept Core Course) is the first step in a training path to civilian crisis management missions and a pre-requisite for Finnish expertise to be deployed. The course provides participants with the basic skills and knowledge required independent of the specific function they will fulfil in international peace missions. Because most Finnish experts are seconded to EU missions, the course focuses on the EU’s civilian crisis management activities. However, all subjects and skills taught during the course are relevant also in OSCE, UN and other missions. A sample course program is available here. The course includes a Hostile Environment Awareness Training (HEAT), an intensive five-day module aimed at training professionals to deal effectively with high-risk and emergency situations while deployed in hostile environments abroad; a prerequisite for high risk missions. 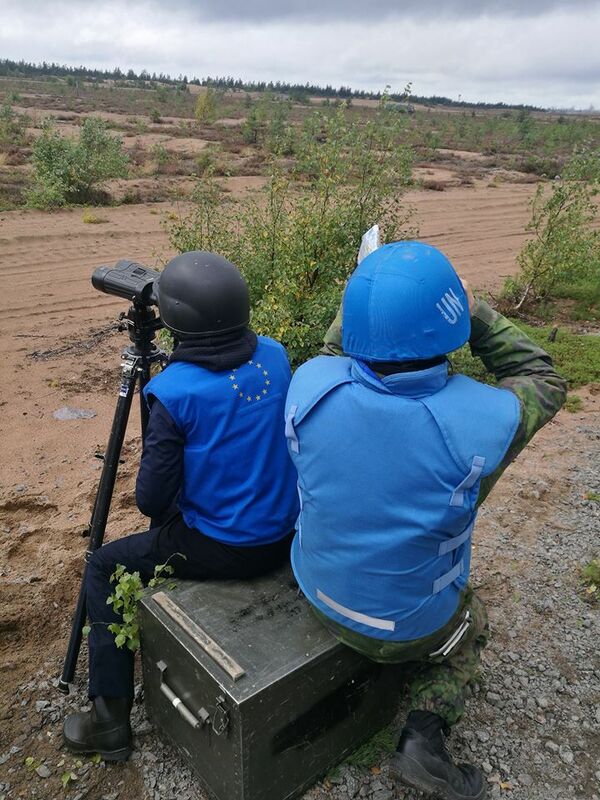 Part of the training is organised in parallel with the United Nations Military Experts on Mission (UNMEM) Course organised by the Finnish Defence Forces International Centre, FINCENT. obtain basic first aid, navigation and radio communication skills. be physically and mentally in good health.